Wow. Is that YOU on your phone?! 75% of fans listen and purchase music from their mobile devices. With this in mind, we made your store one hundred percent fluid/responsive on all mobile devices (Droid, iPhone, etc.) No doubt about it, when it comes to your fans buying music on their phones, you’ll be lookin & soundin good! 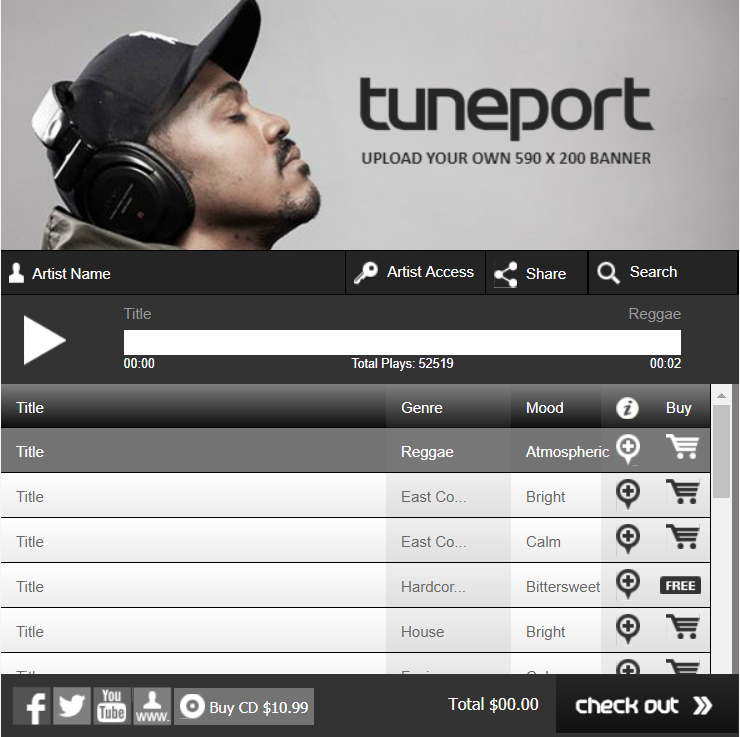 TunePort strives to create an opportunity for you to sell your music on your terms without the interference of a middle-man/third party. With this in mind, we replaced the square photo on the left-side of your store with a 590 X 200 Banner/Header. We hope this space will give you the opportunity get your name out there, build your brand & look damn good doing it! Thanks for being a part of TunePort these past years and we look forward to continuing to provide a great service for you to sell music on your terms. Own your Music Career. Build Your Business. Make It Happen.